A distinctive visual identity for two new flavor of Unilever Algida Nogger ice creams. Unilever Algida is the number one ice cream producer that dominates the market in Turkey. 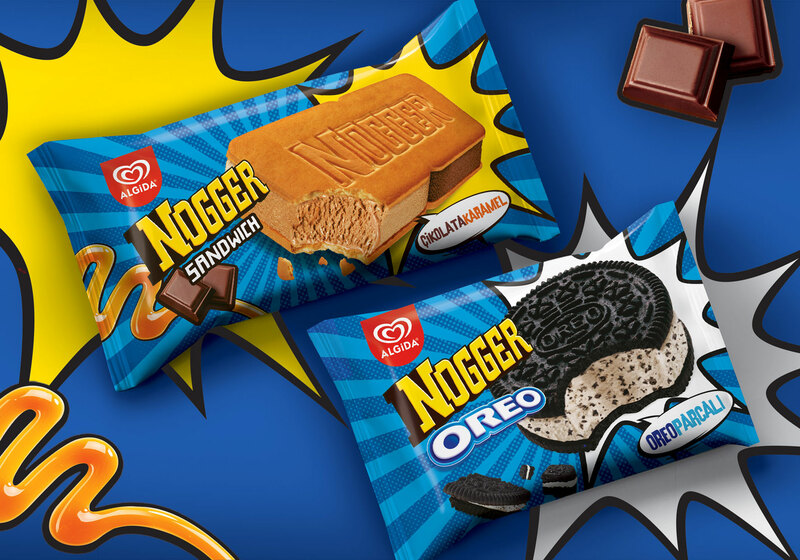 Nogger Sandwich and Nogger Oreo are two new flavors of Nogger ice creams by Algida. For new flavors, a new packaging architecture is needed in order to provide the necessary separation from other members of the range. With speech bubbles, motion effects, bold contours and contrast backgrounds; a pop-art concept has been created. Vibrant visual elements serve desired brand image.